Last month, we were lucky enough to have our friends Beverley and Joan from the UK to stay for 2 and 4 weeks respectively. They love to travel but their husbands don’t so Bev and Joan travel together instead. They’re great mates and the best guests! 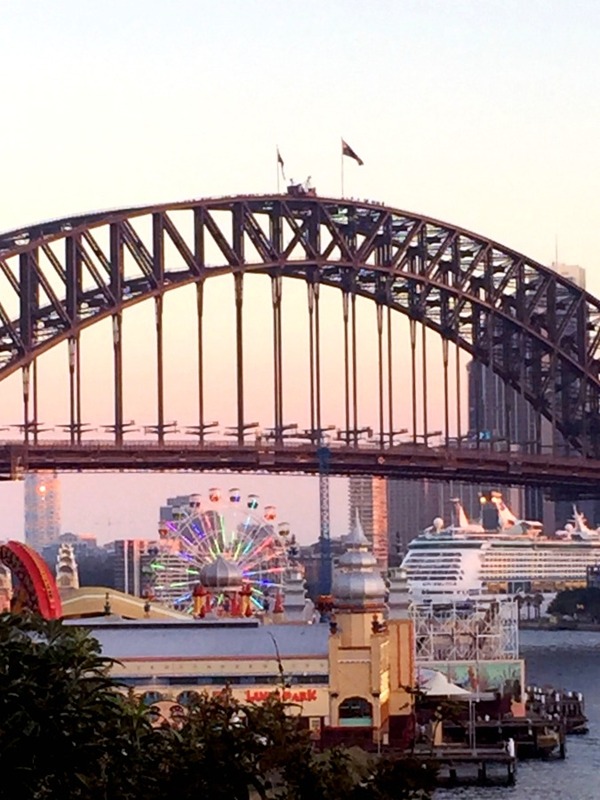 It’s not their first rodeo nor their first visit to Sydney but with side trips to Melbourne and Newcastle, I’m keen to squeeze in as much as we can with the limited time and stomach space available! We pack so much in, it proves to be too much for one post, so this is going to be a story of two parts. Of course, I’m starting with the eating and drinking because priorities! 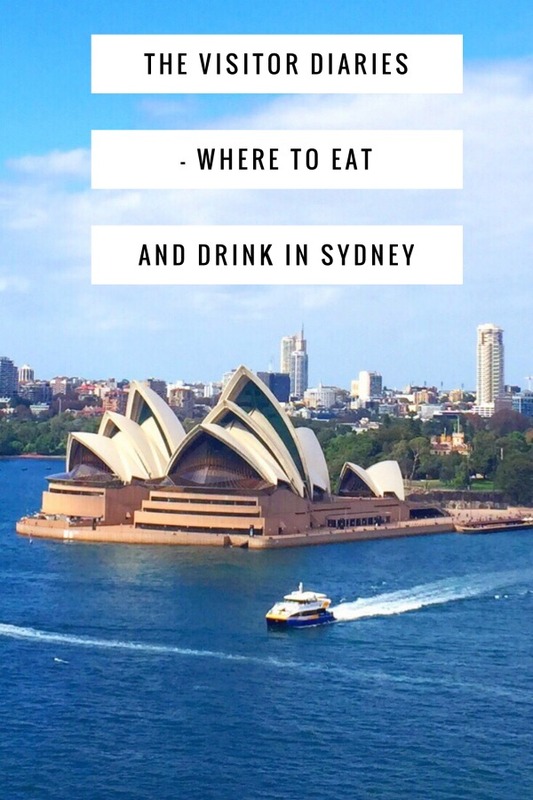 So if you’re hosting visitors in Sydney, visiting Sydney or just keen to play tourist in your town, I hope you find something to whet your appetite and tickle your fancy! 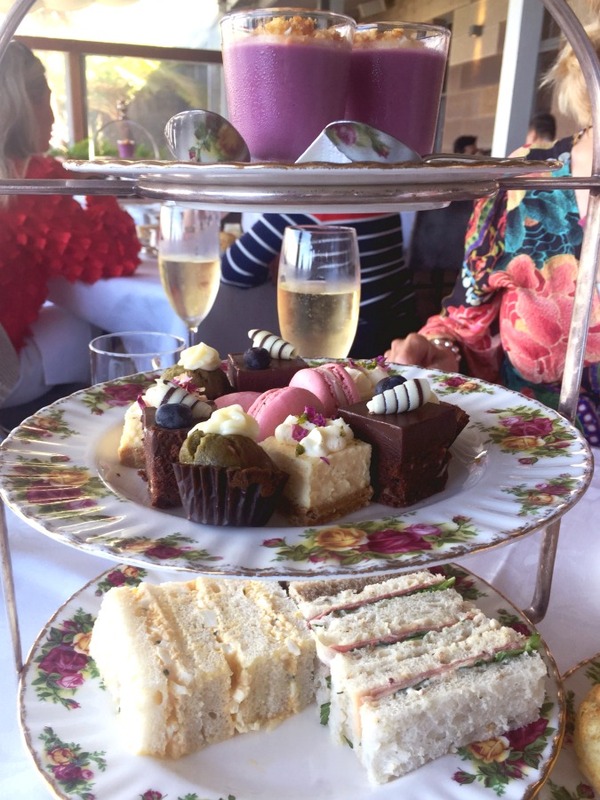 Afternoon tea is my favourite and I’ve tried and tested many of the tea-licious options in Sydney, but the Gunners Barracks is in my opinion, the best. I think I’ve taken all my overseas visitors here for afternoon tea and they have all loved it, and Beverley and Joan are no exception. Here you’ll find a sumptuous array of teatime treats served on fine bone china, with Victorian luxe and stunning courtyard views. What’s not to love? The tea and treats (both sweet and savoury) are top notch, the service is wonderful, the sconeage is superior and the outlook is simply unbeatable. With traditional afternoon tea, sparkling, cocktail and champagne options, there really is something for everyone, including the small people, because there’s a Childrens Traditional Afternoon Tea too. This place is extra special and extra popular so definitely book ahead. 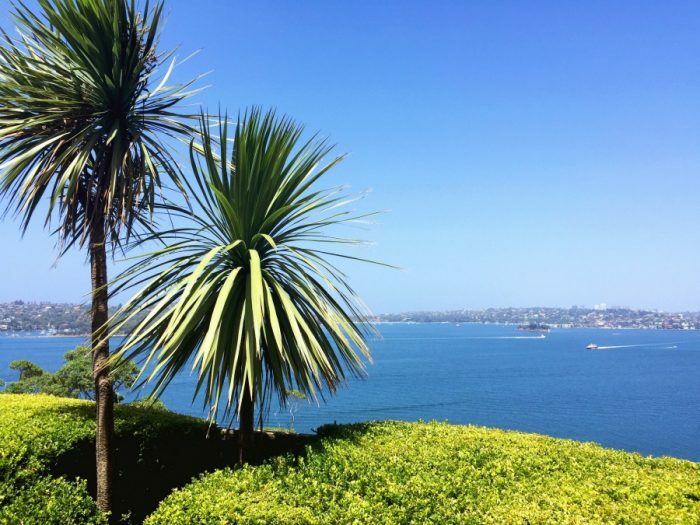 To avoid falling into a teatime sugar coma, my tip is to take a post-teatime stroll along to St Georges Lookout for breathtaking harbour views. Gunners is most easily reached by car although if you don’t have your own wheels, there’s always Uber or the bus, the latter as long as you don’t mind a 10-15 minute walk at the end. Public transport works in our favour as we take the bus (238) to Taronga Zoo Wharf and catch the ferry back to the smoke! It’s scenic plus! Located in the heart of the Rocks, this is my go-to for tea and scones fix. 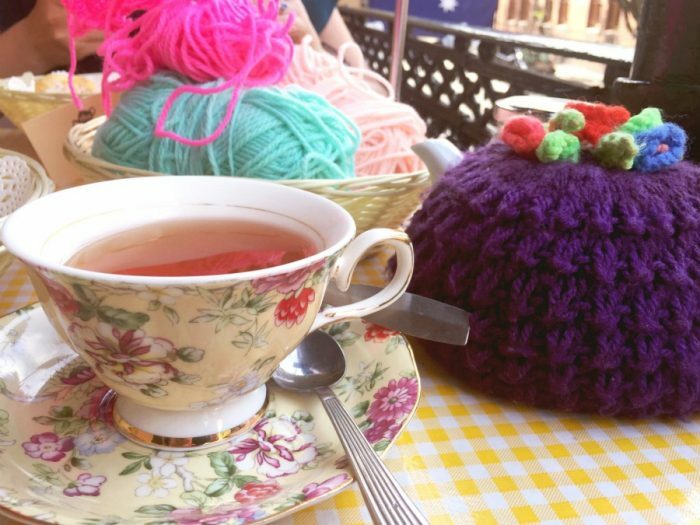 I think it is my mission in life to take everyone I know to The Tea Cosy. Have you been yet? 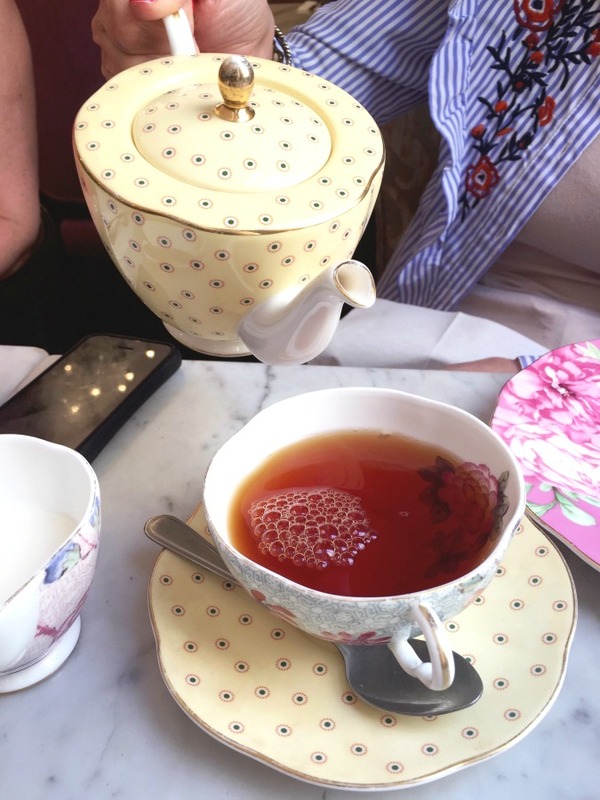 If a full on afternoon tea is not your jam (excuse the pun,) then you’ll love The Tea Cosy where they do tea and scones just like nana used to make, in a lounge just like nana used to have. 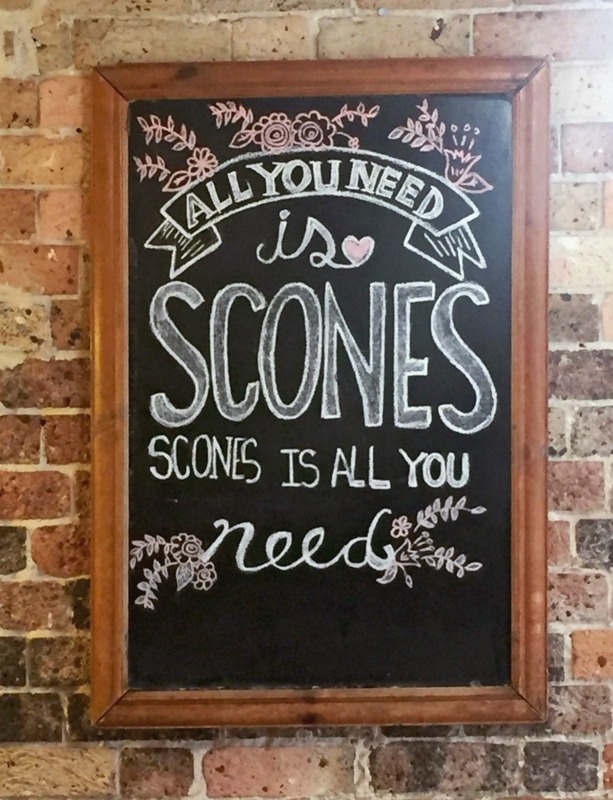 All the scones are handmade using an old family recipe (plain, plus a scone of the day,) there are Australian made gourmet jams, a thirst quenching selection of teas and communal knitting baskets on every table. There’s no booze though, so if you want some bubbles with your baked goods, you’ll have to look further afield. You can however have any drink you choose with your afternoon tea, which always pleases my non-tea drinking friends. 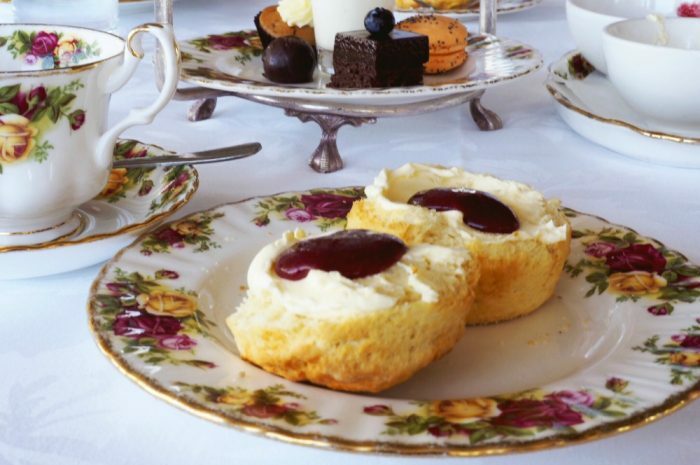 There are also gluten free and vegan options (although 24 hours notice is required) and if you’re hungry, try The Tea Cosy Taster with your choice of scones, your choice of jams and three types of ribbon sandwiches. This place gets super busy, especially on the weekends, so it’s a good idea to book ahead. Try and get a seat upstairs if you can, the upstairs parlour and the verandah are two of my favourite spots. Clearly, it’s now one of Bev and Joan’s favourites too, they love this place so much they go back one more time, too bad it’s not when I am with them! 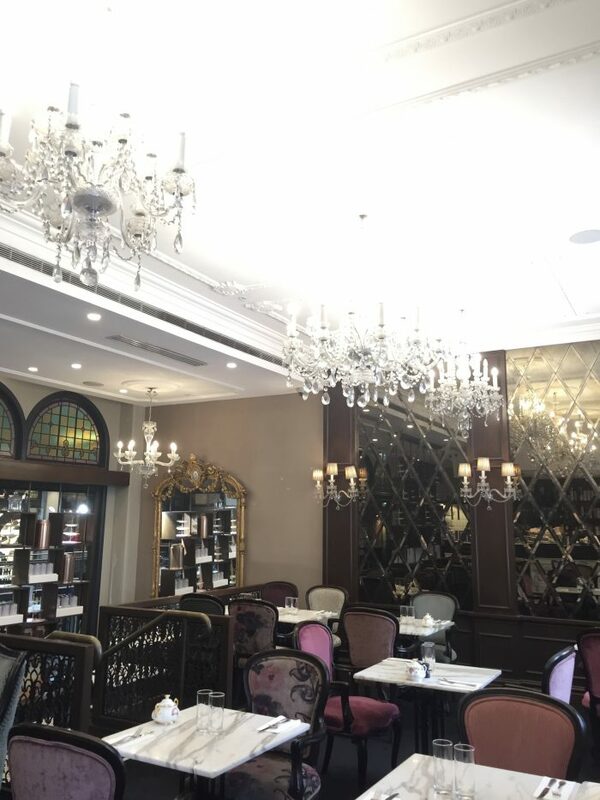 Another tealicioius venue from the crew that brought you the Gunners Barracks and the The Tea Room, the Palace Tea Room in the heart of the QVB is a great city option for tea and treats. We swing by for some sustenance after Bev braves the Bridgeclimb. 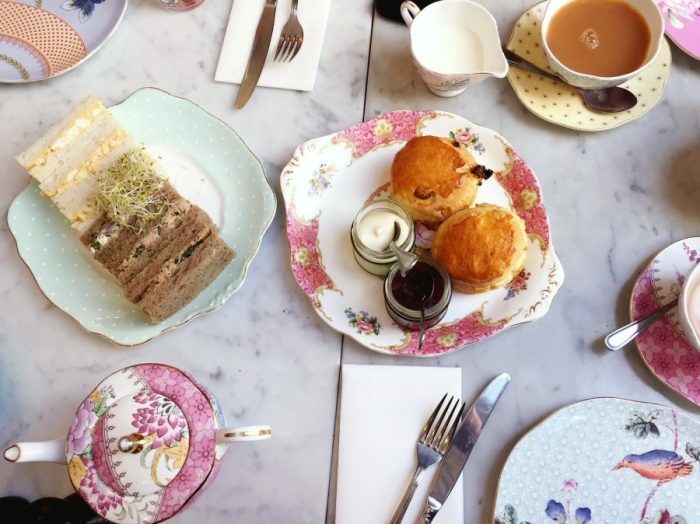 If you’re looking for full on afternoon tea, your best bet is to head upstairs to The Tea Room (although they serve it at The Palace Tea Room too.) If you’re looking for something a little lighter, you’ll be spoilt for choice at The Palace Tea Rooms. The menu is vast with breakfast, lunch, snacks, afternoon tea, a wide selection of drinks and a children’s menu too. My favourite is the Devonshire Tea, especially when it’s served with a side of finger sandwiches and Bev and Joan are inclined to agree. However, be sure to score a seat inside the elegant Victorian-esque dining room, it’s just not the same sitting outside in the shopping centre corridor. If you arrive or leave on the hour, do check out The Royal Clock (right outside the tea room,) ticking up another performance. 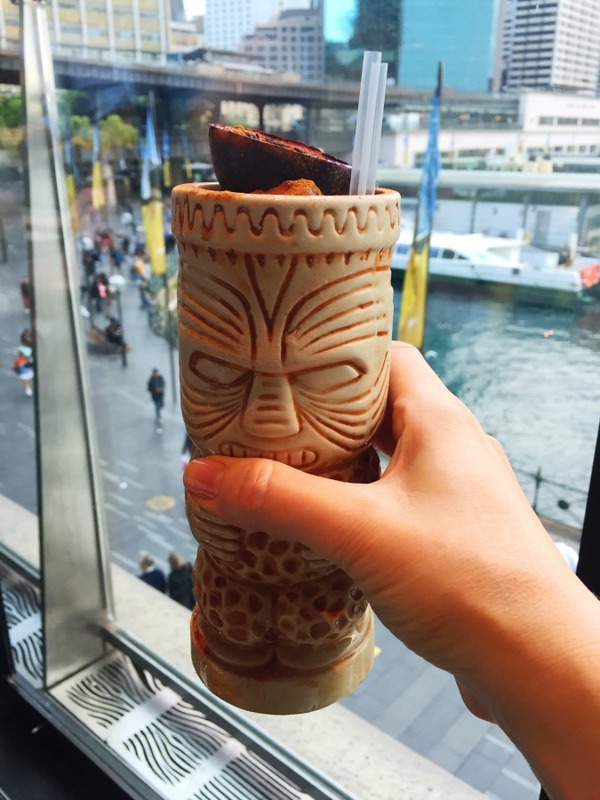 There’s no denying it, Sydney is a really good looking city and one of my favourite ways to soak up the scenery is with a drink in my hand. Waterside watering holes are invariably a touch more expensive than a regular cafe or bar, but the views are just priceless! I need to win the lottery to be able to afford to stay at this luxury hotel but I can stretch the budget to some liquid refreshment at this five star hotel. With it’s floor to ceiling windows, The Living Room serves it’s drinks with a view. If you time it right, you’ll be able to score a window seat and you will not be disappointed. 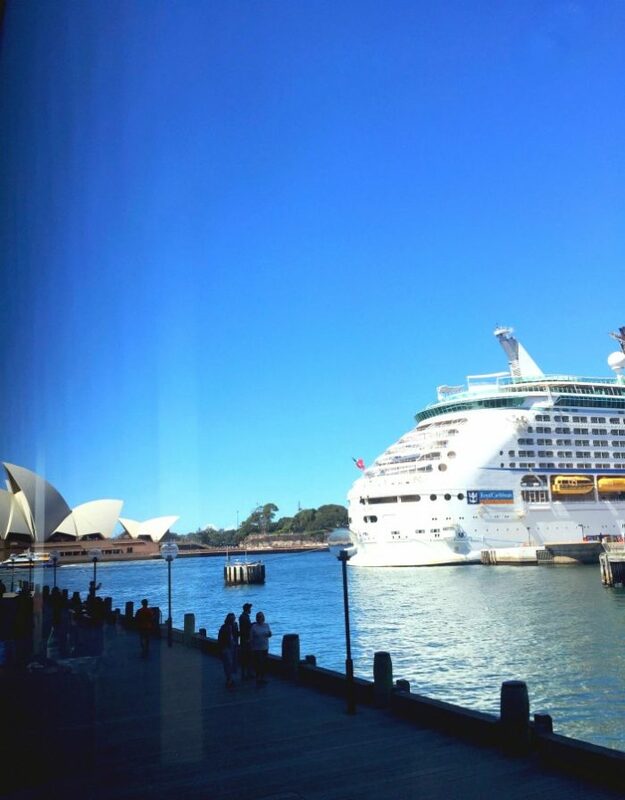 Located under the Opera House, this place is hard to beat for value and views. There’s lots of space, great food, a relaxed vibe and there’s even breakfast at weekends. Visitors always love it, Beverley and Joan included. This is the only place that my visitors frequented on their last tour down under. However, as it’s had a makeover and looks completely different, they’re seeing the new look for the first time. Although, the renovations are quite recent, the soft furnishings are looking a little tired and grubby in some places, but luckily the bridge views more than make up for it. This chic cocktail bar can get super busy at night but it’s a relaxing mid afternoon pit stop. The service can be a bit hit and miss but the views never disappoint. 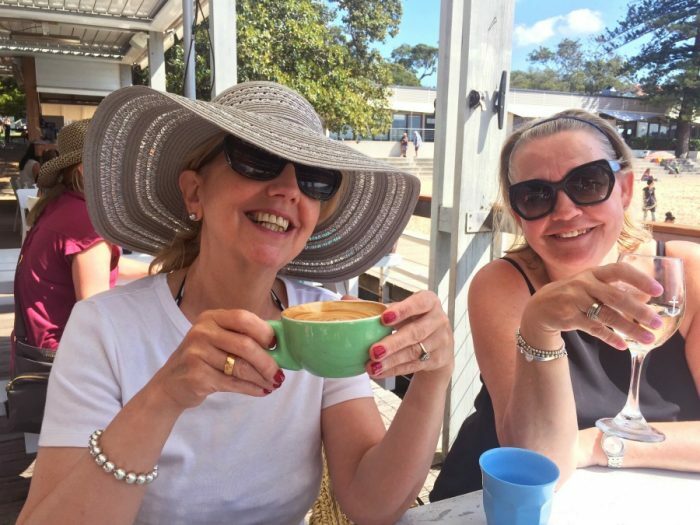 There are three Boathouses and I love them all but this trip we squeeze in visits to both Balmoral and Palm Beach. My only regret is that we don’t make it to Shelley Beach. 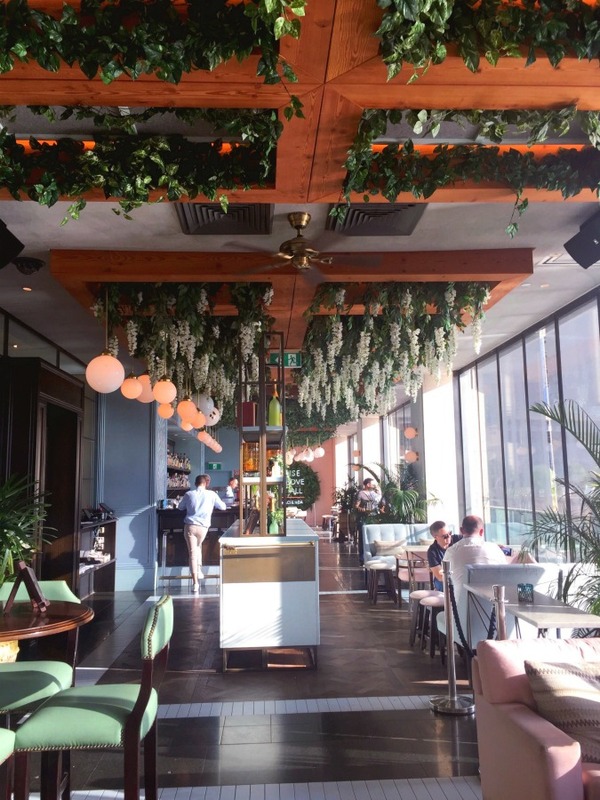 There’s a small but perfectly formed wine list, fabulous coffee, delicious seasonal menus with a mouth watering selection of food and the views are sublime! 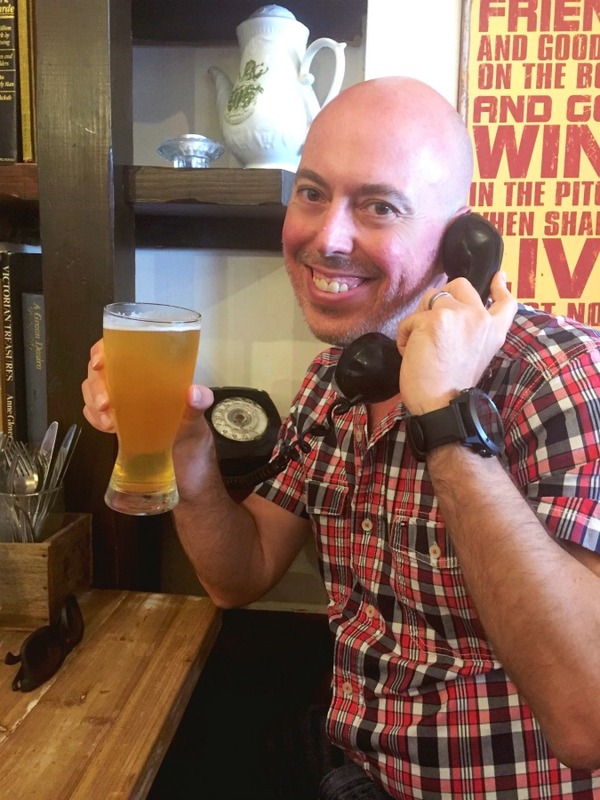 Now I love a good small bar and in Sydney we really are spoilt for choice. However, Bev and Joan are very tight for time on this trip so when it comes to these weeny watering holes, we barely scratch the surface. I’m pleased as punch that we at least managed to fit in a few of my favourites. This book lined small bar is my go-to in Manly. There’s a great selection of wine, craft beers, coffee and cocktails and food is served from morning til night. Although it’s not as big or as busy as some of the other ocean front pubs and bars, it’s cosy, quiet and welcoming. I like to think of it as the thinking man’s small bar. On a fine day when the door is open, there are ocean views, but I’m always too busy getting my nose stuck in an encyclopedia to look outside! It’s as if I feel cleverer by looking at them! 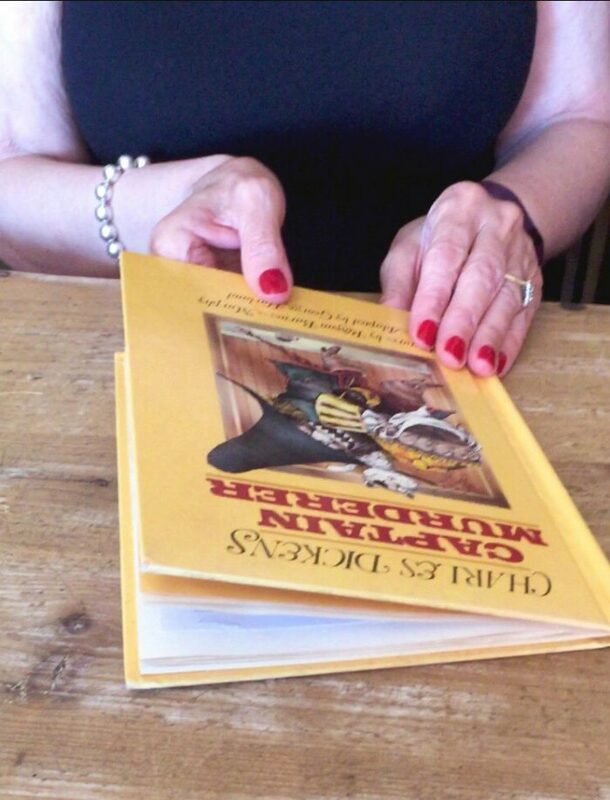 Bev and Joan love this place as much as we do and we’re all big fans of the menus billeted away in books! Too cute! Joan loves gin so I know she’ll love the Barbers Shop. If like Bev, gin isn’t your jam, don’t worry there is a fabulous selection of wine and beers too! Walking through the empty barbers shop, is like walking through Alice’s looking glass, except you walk into a wonder bar rather than a wonderland. Same, same. 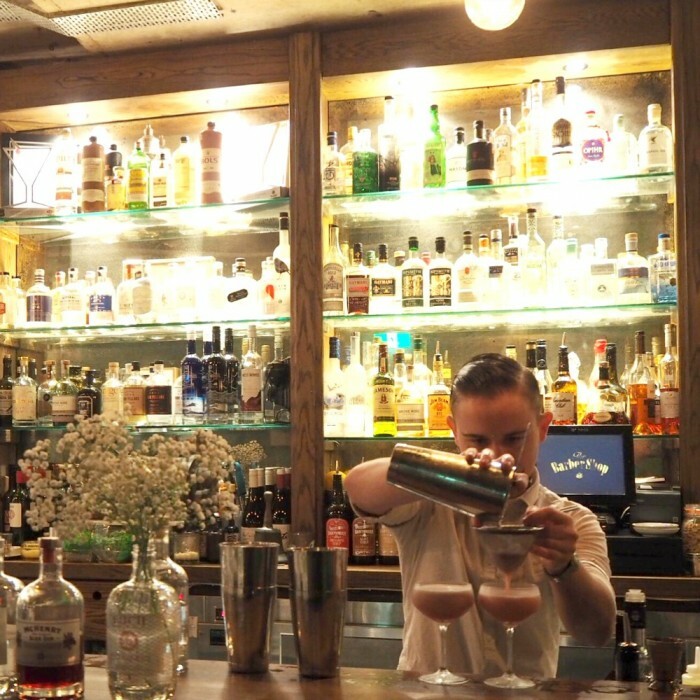 This speakeasy is hip and happening with a generous side of old fashioned charm. We’ll drink to that! If the Barber Shop is all about the gin, Lobo is all about the rum! 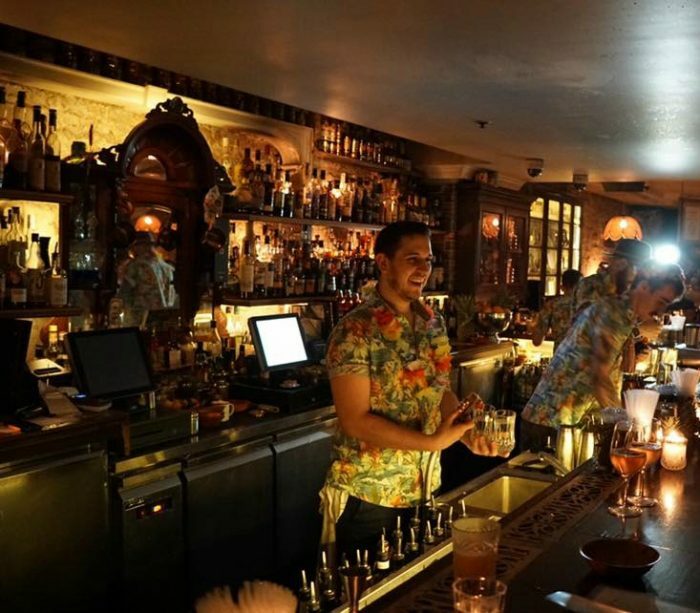 Descend the winding staircase into a Caribbean themed bar, with cool tunes, dim lights, cane furniture and 250 different types of rum. The cocktails are where it’s at (the flaming ones look so fun) but there’s also a decent wine list, beer selection and some delicious Caribbean snacks. 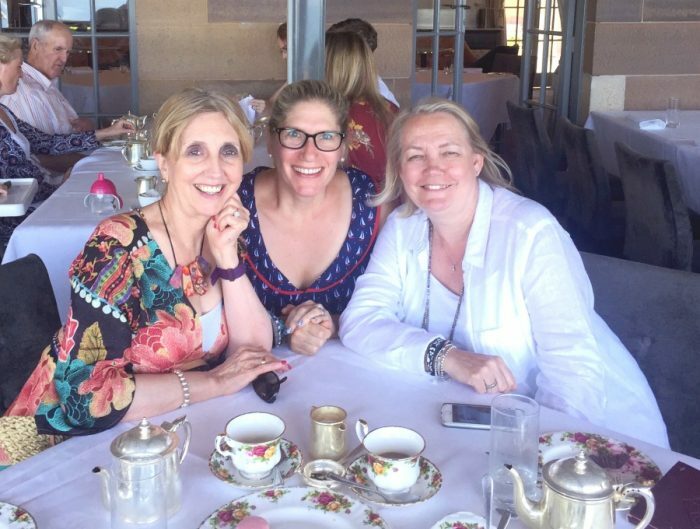 Joan and Beverley have never eaten dumplings before and I am keen to rectify the situation with a visit to New Shanghai. This is my go-to for dumplings in the city. It’s conveniently located in the Westfield shopping centre, doesn’t break the budget and it’s Xiao Long Bao are hard to beat. 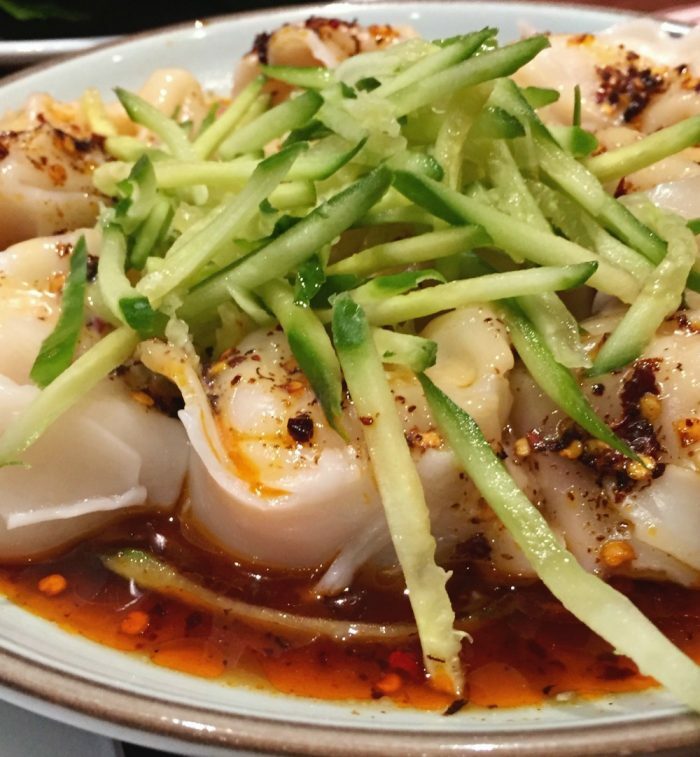 These prawn wontons with chilli sauce (AKA number 225) are another one of my favourites. 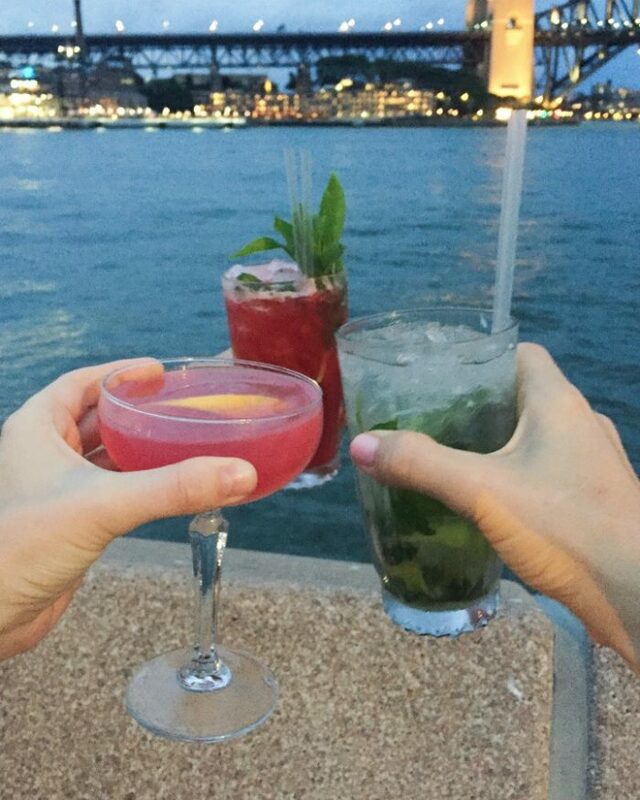 This harbourside club is one of our favourites. It’s more stylish than your average RSL and the bistro serves decent food with everything from pastas to stir-fries and salads to steaks. The real draw card here is the view, it’s pretty special. If you don’t fancy drinks or dinner, you can swing by for a coffee, because there’s a cafe here too. We take Joan and Beverley here for the last supper – sob! 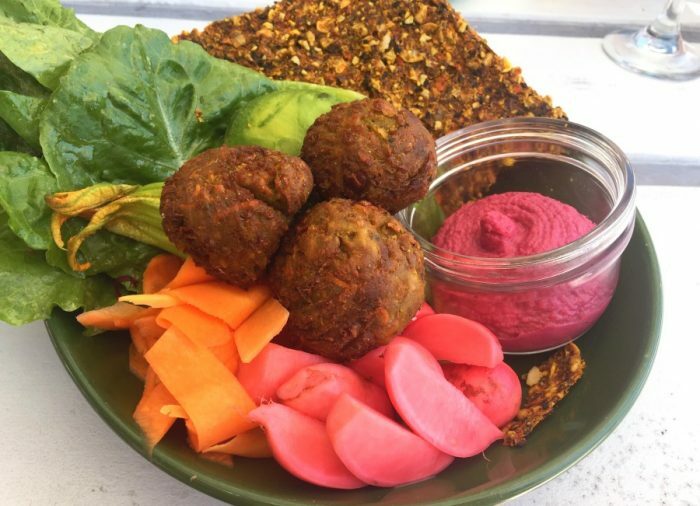 If you would like a little more fine in your harbourside dining, located on the harbour next to Luna Park, Ripples is a great pick. 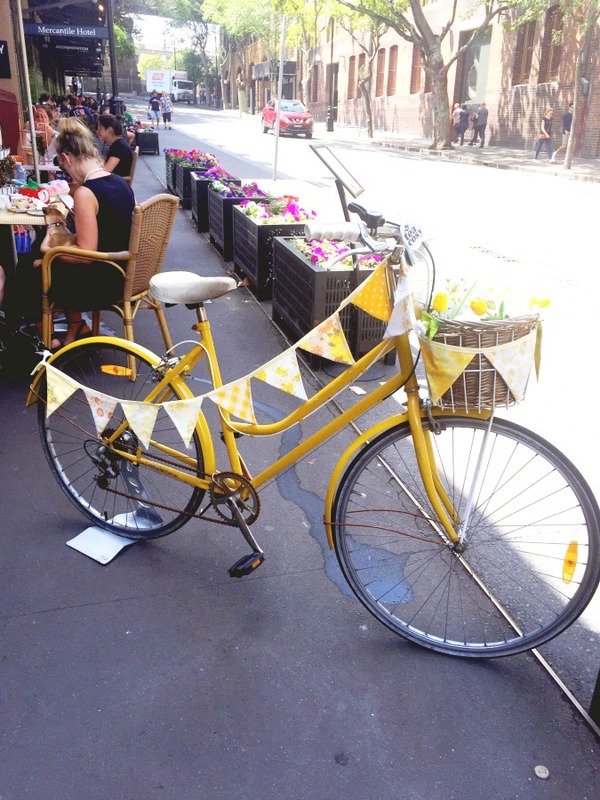 Here you’ll find relaxed outdoor dining, an Italian inspired menu and you can BYO (at a price.) The visitors always go mad for the views and we like to take advantage of the photo opportunities before/after dinner. This place is popular so reservations are recommended. So what did I miss? Have you got anything to add to the list? 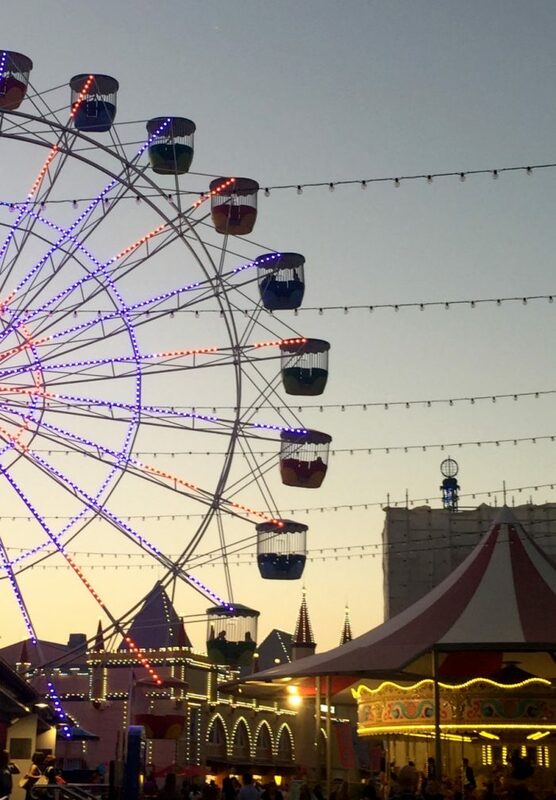 Have you ever played tourist in your town? If I visited you, where would you take me?